The Last Guardian is, hands-down, my most wanted game. Not my most wanted PS3 game, mind you, but most wanted out of every game that has been announced since E3. Go watch the trailer again, because honestly, it's one of the best uses of your time I can come up with. Seeing these huge wallpaper-sized screens today has blown my mind in more ways than one -- not only is the game graphically impressive, but the screens already hint at a relationship between boy and beast that is tugging my heartstrings. If you have a close look at all the screens, you'll notice a few of them show what look to be spears embedded in the guardian's back. Obviously it will defend you from attack ... but from what? 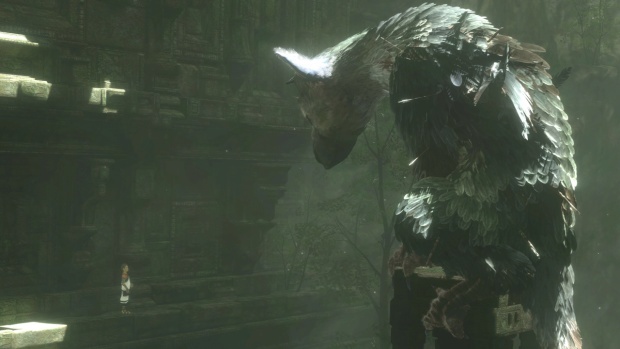 The release date for The Last Guardian is unknown, but I can only hope it's soon, because this truly looks like the game of my dreams.